Looking "where to sell my 1969 Pontiac Trans Am?" Ask the Chicago Car Club! Are you wondering "where to sell my 1969 Pontiac Trans Am ?" 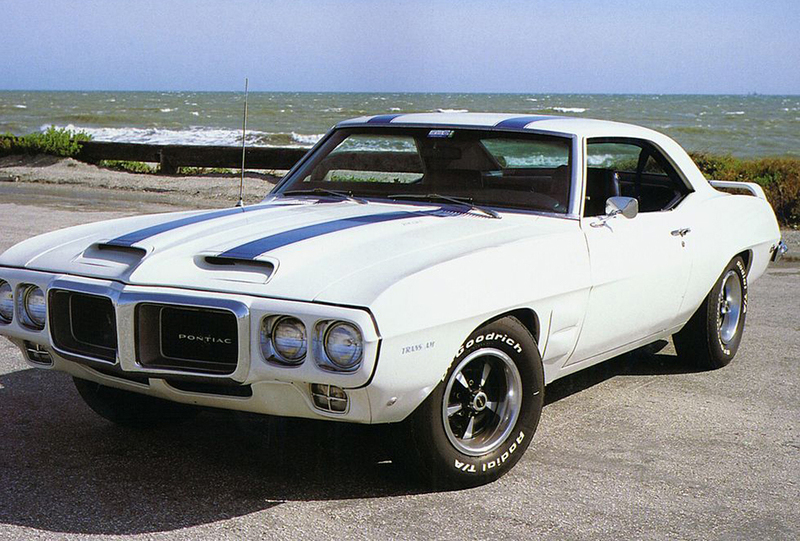 The Chicago Car Club is interested in classic cars of all makes and models, especially a 1969 Pontiac Trans Am. We make the process of selling your 1969 Pontiac Trans Am quick and painless. In just a matter of hours we will have your classic valued and, if you do so choose, turned into money in your pocket. All it takes is a phone call or electronic inquiry to get the ball rolling. Beginning in 1969, Pontiac made available an optional Trans Am Performance and Appearance Package to its wildly successful Firebird, part of the burgeoning “pony car” class of street ready race cars. The Trans Am package improved not only the handling, suspension and horsepower available in the Firebird, but allowed buyers to select from a cornucopia of hoods, spoilers, lights, wheels and decals to make a truly unique driving machine. In its first year of production, Pontiac made 697 Trans Ams. The 1969 Trans Am was available with either the third, fourth or fifth generation Pontiac’s 400 cu in, 6.6 L V8 Ram Air engine. The Ram Air III was stock in most 1969 Firebirds, Trans Ams and GTOs. The Ram Air IV boasted lighter weight due to its aluminum intake construction, for optimal driving performance. The Ram Air V itself came in several different sizes, although the performance output of this engine exceeded many emissions and safety standards that were being implemented at the time, and its production was short lived. The Trans Am is a bit of an anomaly for car collectors, since the name is more a designation of an options package available to the Firebird. The name “Trans Am” does not actually appear on the car, VIN, title or elsewhere. Likewise, many Firebirds were produced and sold at this time without Pontiac’s Trans Am package, though these could have been upgraded with post-market options. Regardless, car enthusiasts are still quick to recognize a 1969 Trans Am due to its more stylish appearance and cherish it for its superior performance.